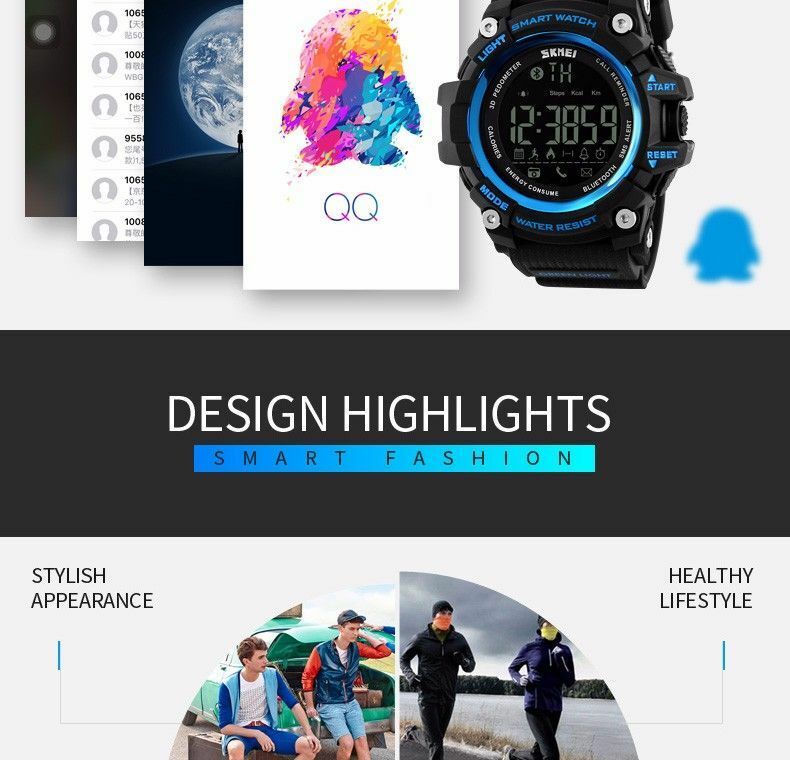 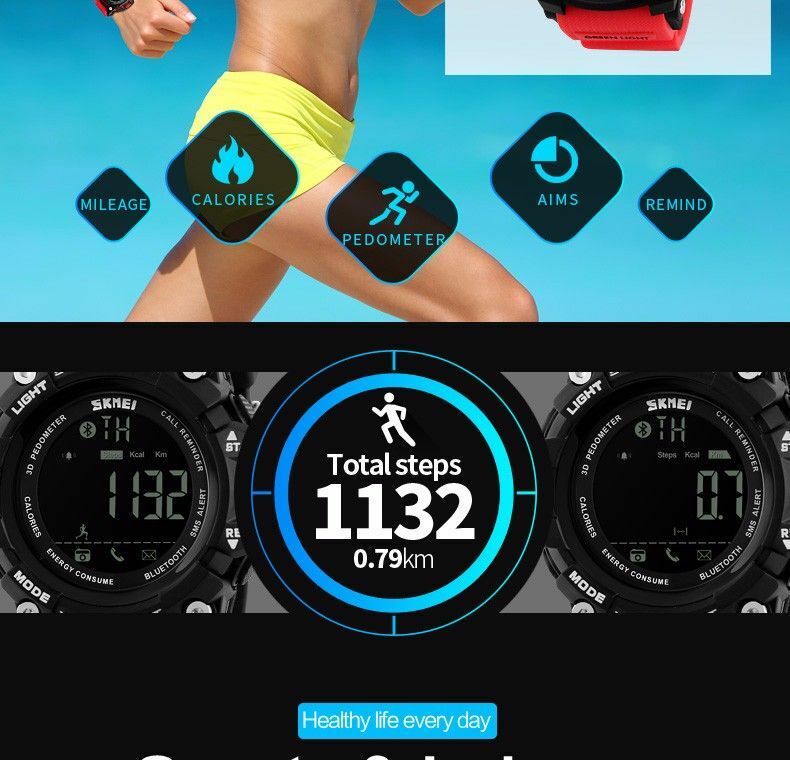 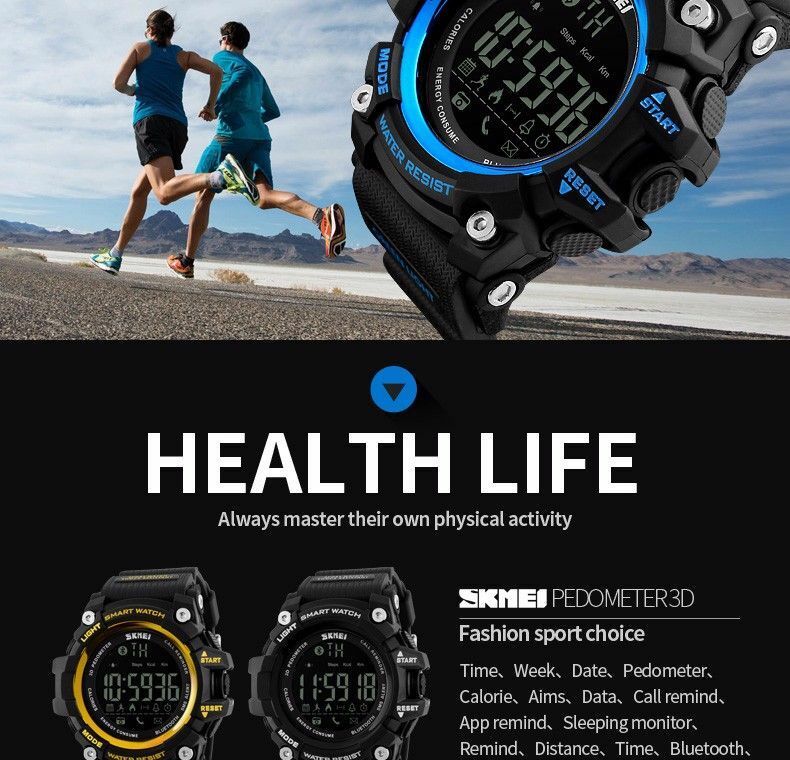 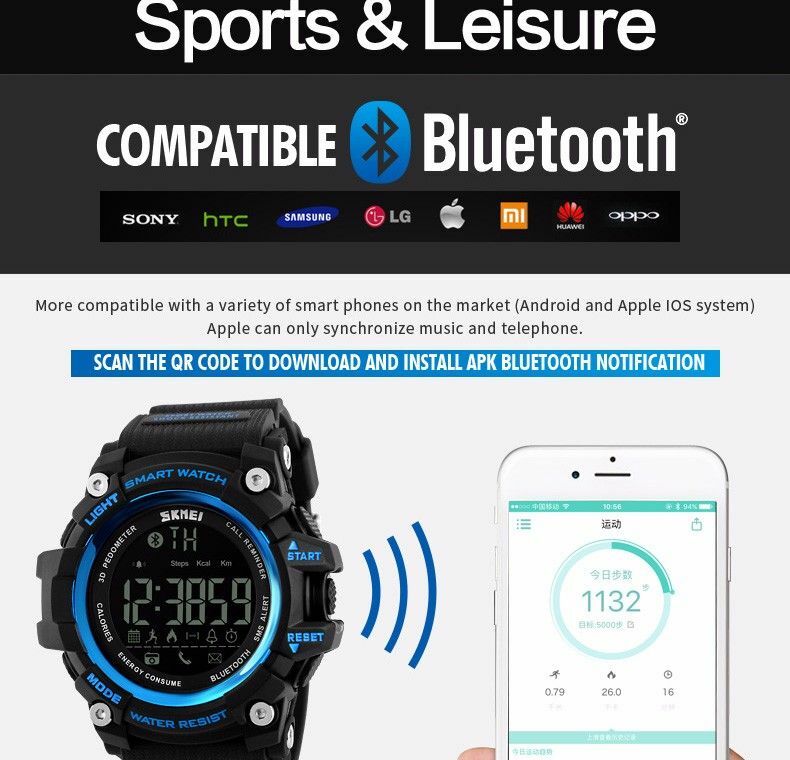 24 Hours Activity Tracking, Accurate Records Of Each Action, Including The Movement Distance, Time, Calories Burned, Activity, A Complete Record Of Your Daily Activities. 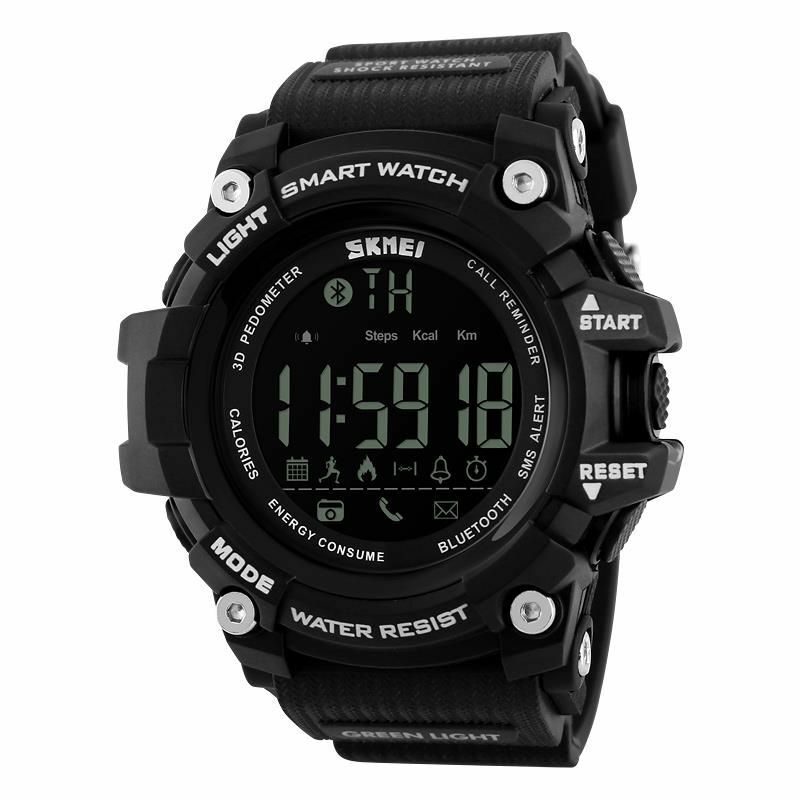 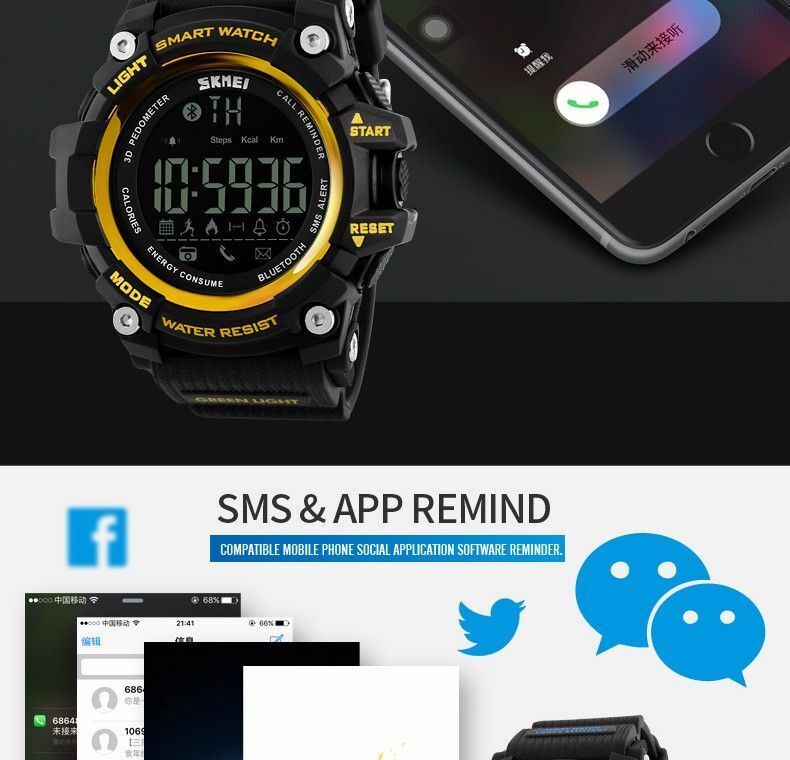 Watch With Push Calls, SMS Push, And All Kinds Of Social Application Push, Whenever There Is A Push Reminder, The Corresponding Icon Will Flash And Beep. 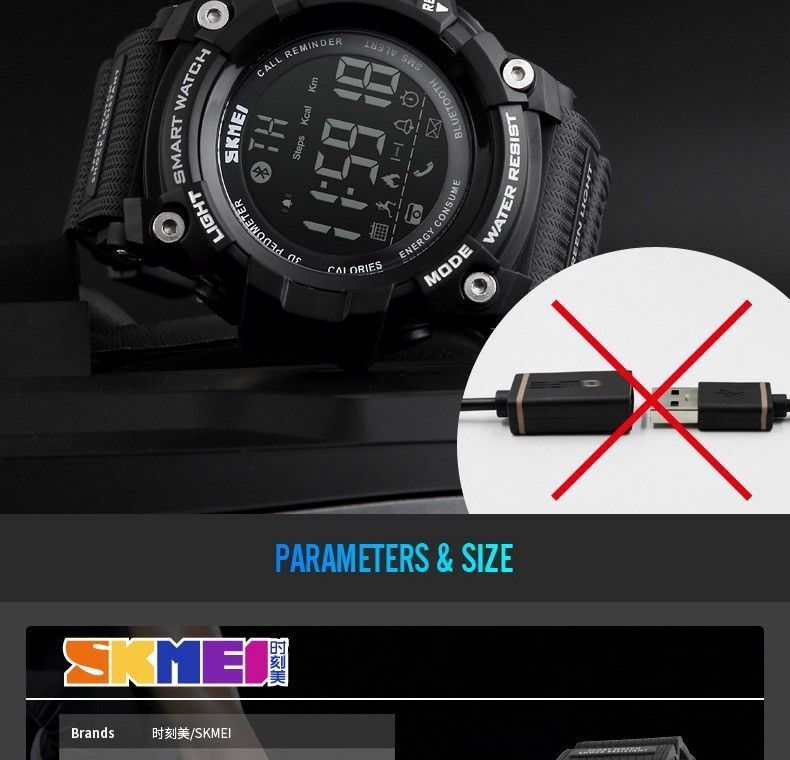 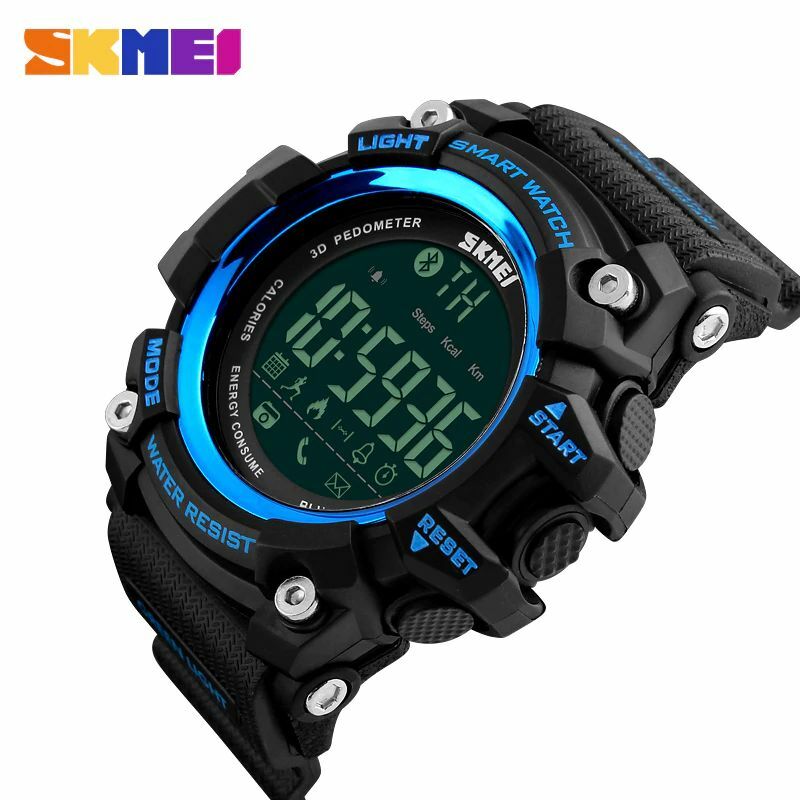 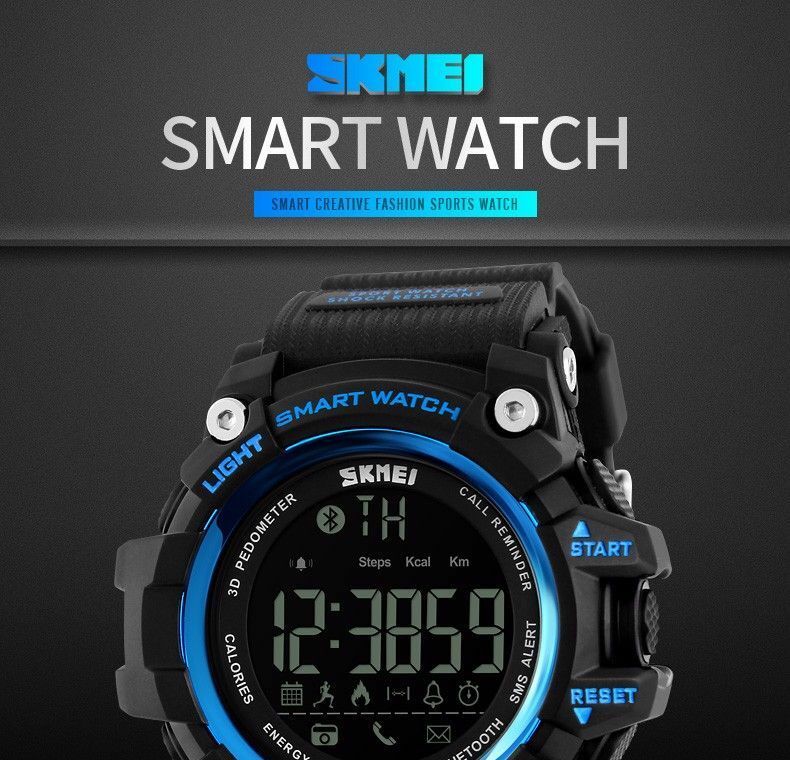 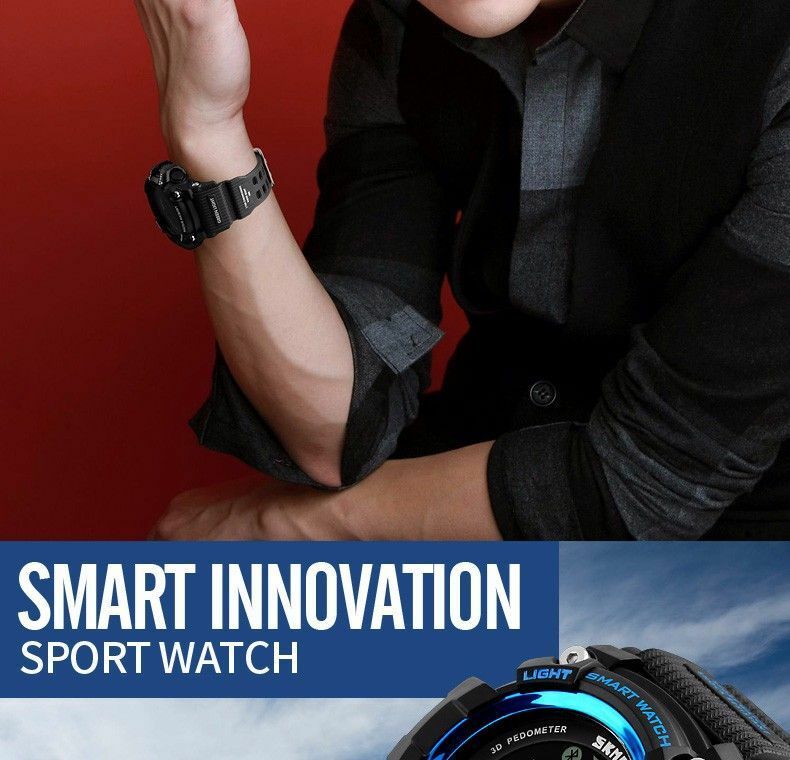 This Watch Does Not Have Regular Charging, Endurance, Use More Convenient. 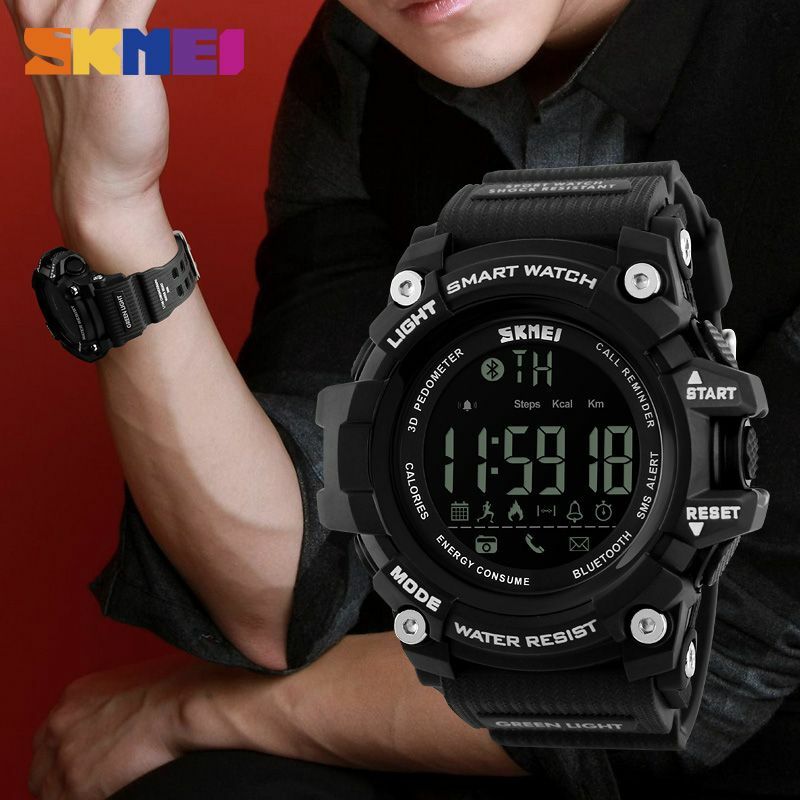 When The Phone Is Connected With The Watch, Open The “Camera” In The Phone, Press The Watch S1 Key, You Can Remote Control Camera. 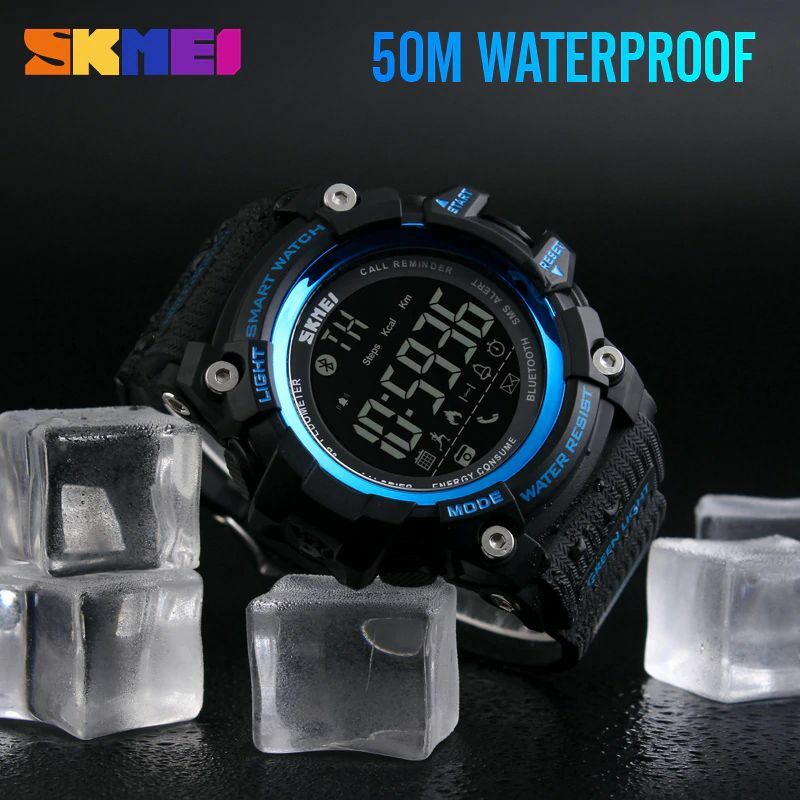 50m Waterproof. 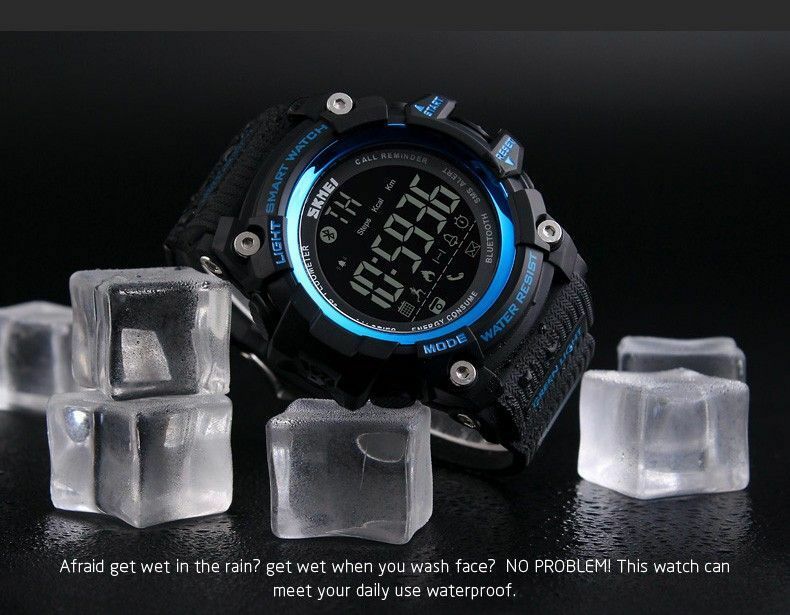 No Need To Take Off The Watch While Washing Hands, Rain, Shower Or Swimming. 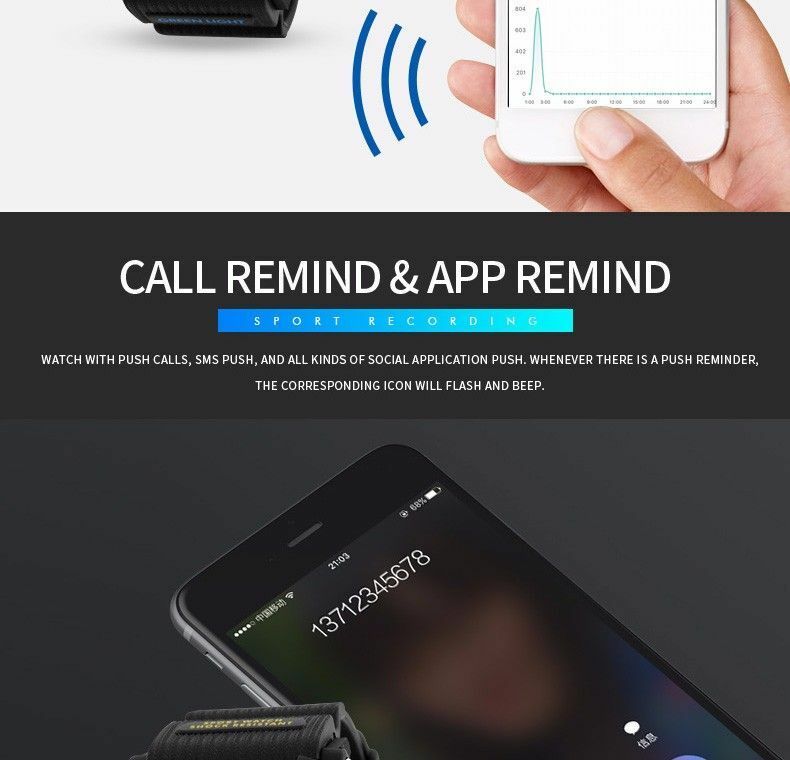 CALL & APP REMIND: Watch With Push Calls, SMS Push, And All Kind Of Social Application Push, Whenever There Is A Push Reminder, The Corresponding Icon Will Flash And Beep. 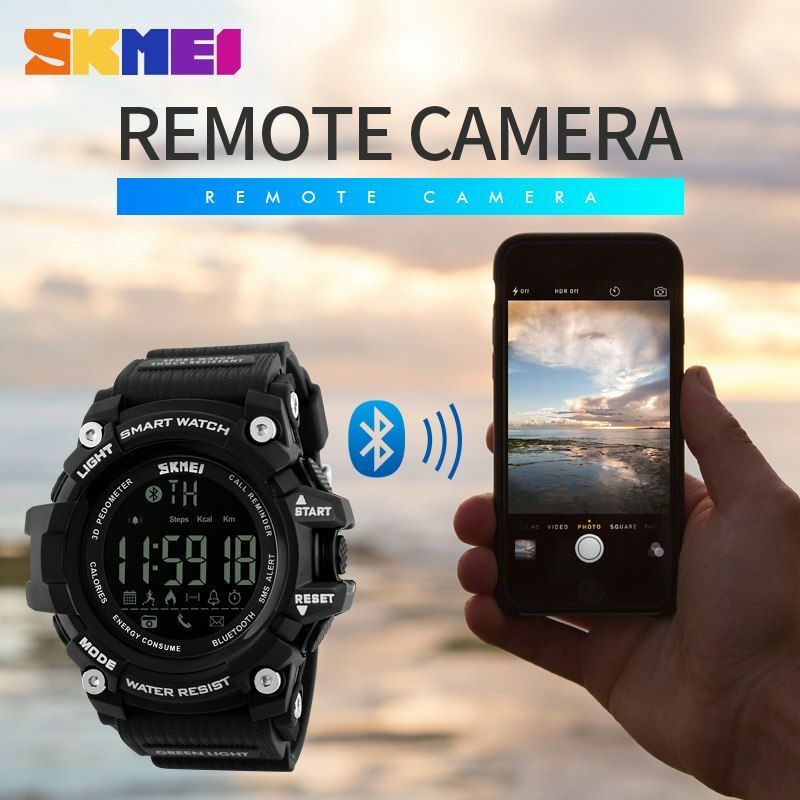 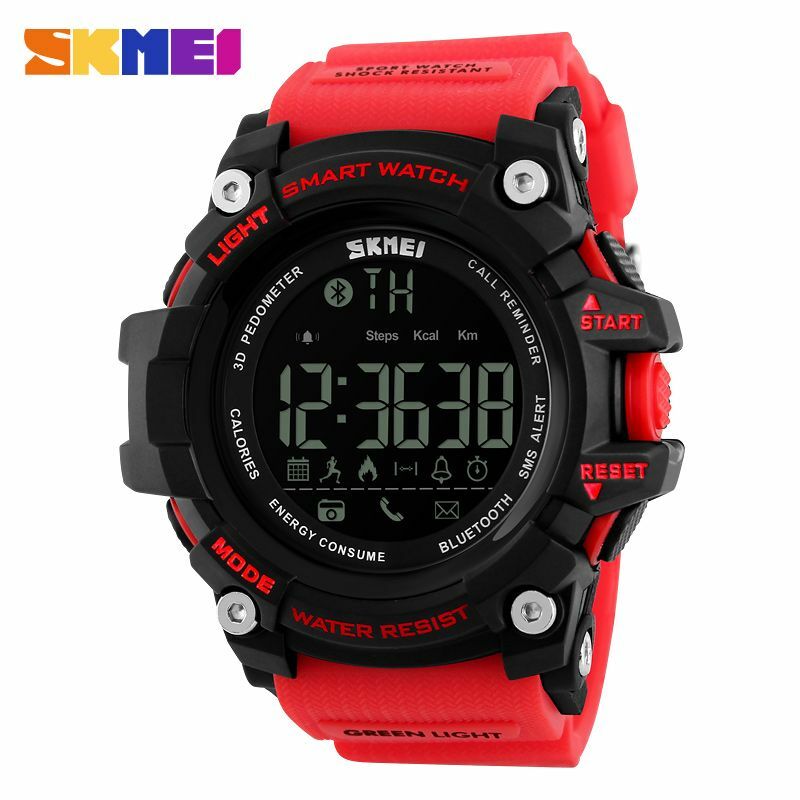 REMOTE CAMERA: When The Phone Is Connected With The Watch, Open The “Camera” In The Phone; Press The Watch S1 Key, You Can Remote Control Camera. 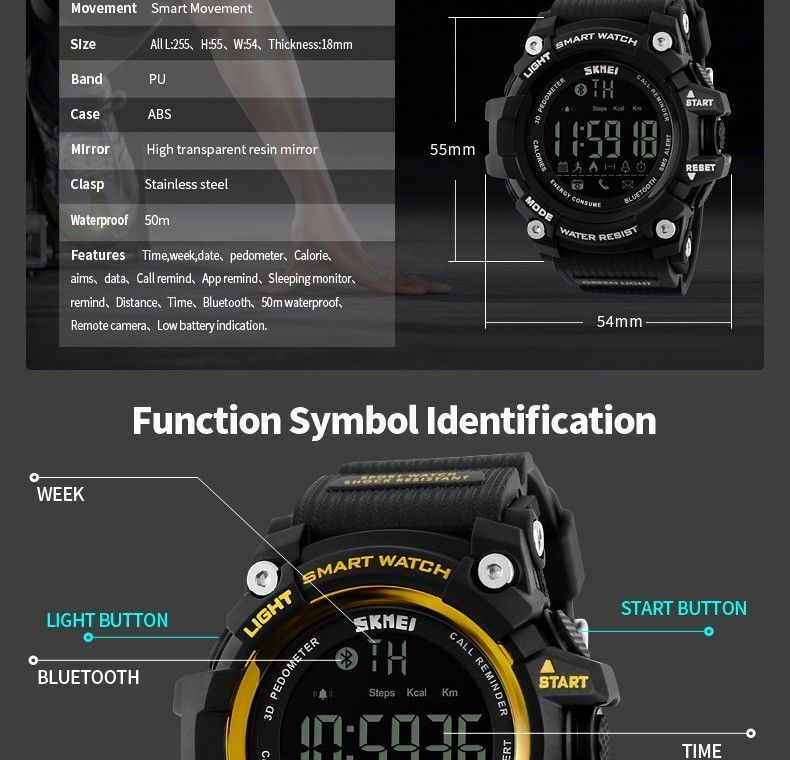 NO CHARGING, ENDURANCE ABILITY: Compared With The Previous General Bracelet, Ordinary Bracelet Needs Time Charging. 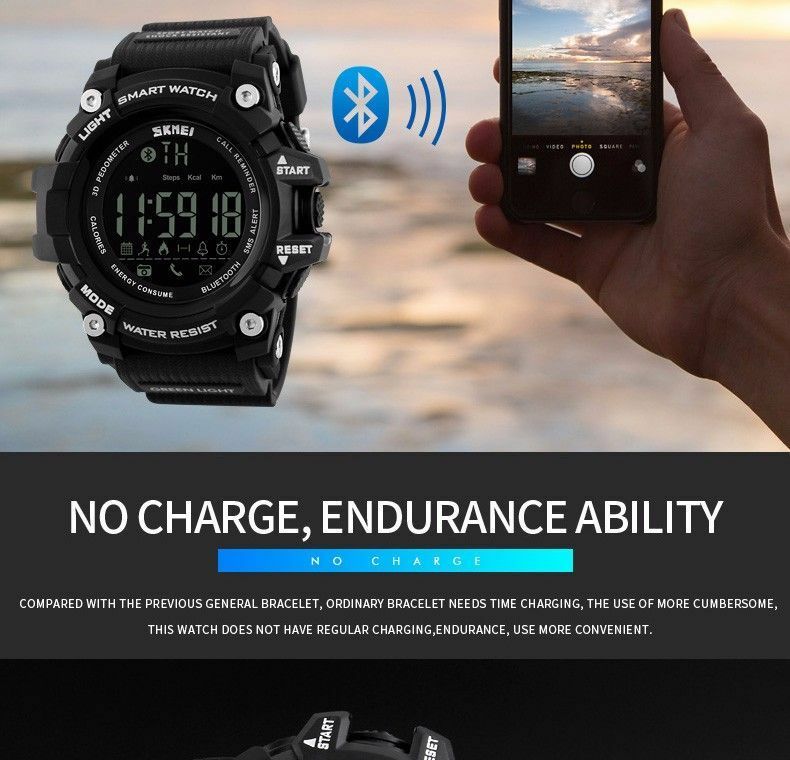 This Watch Does Not Have Regular Charging, Endurance, And Use More Convenient. 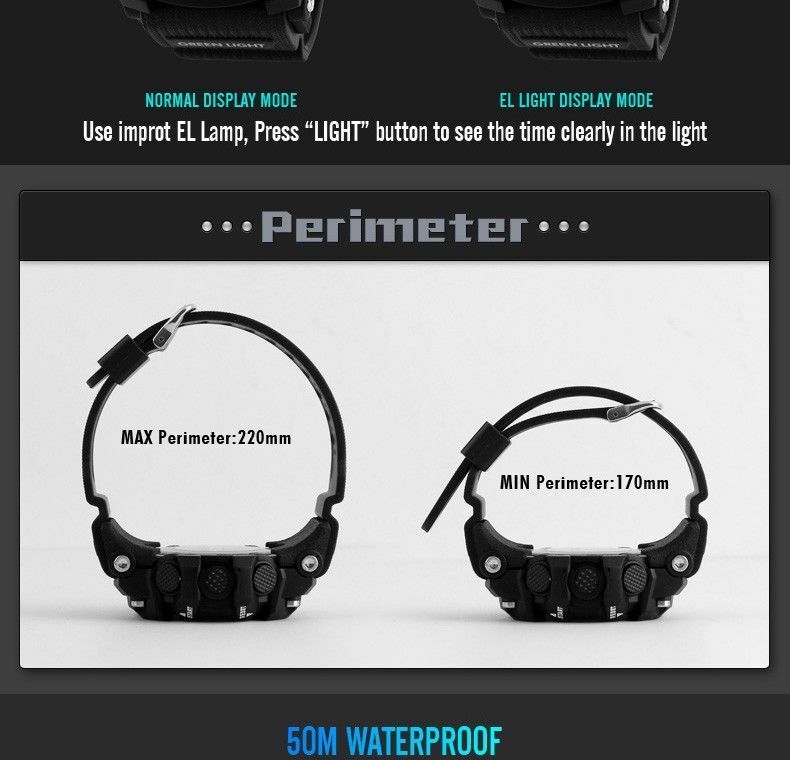 EL LIGHT DISPLAY MODE : Use EL Lamp, Press “LIGHT” Button To See The Time Clearly In The Light. 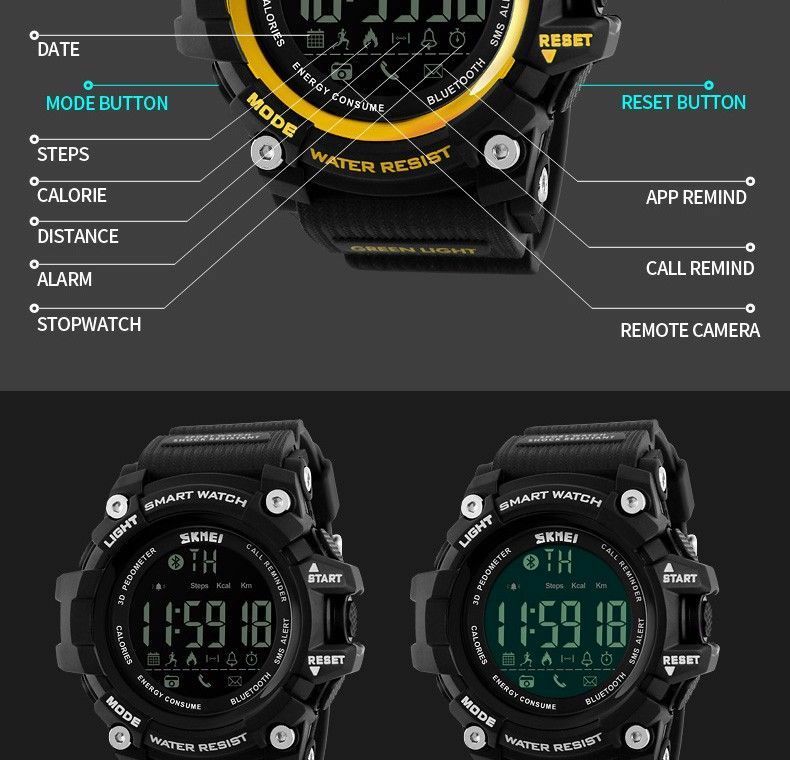 COLORS CHOICES Available in Blue, Black and Gold Colors. 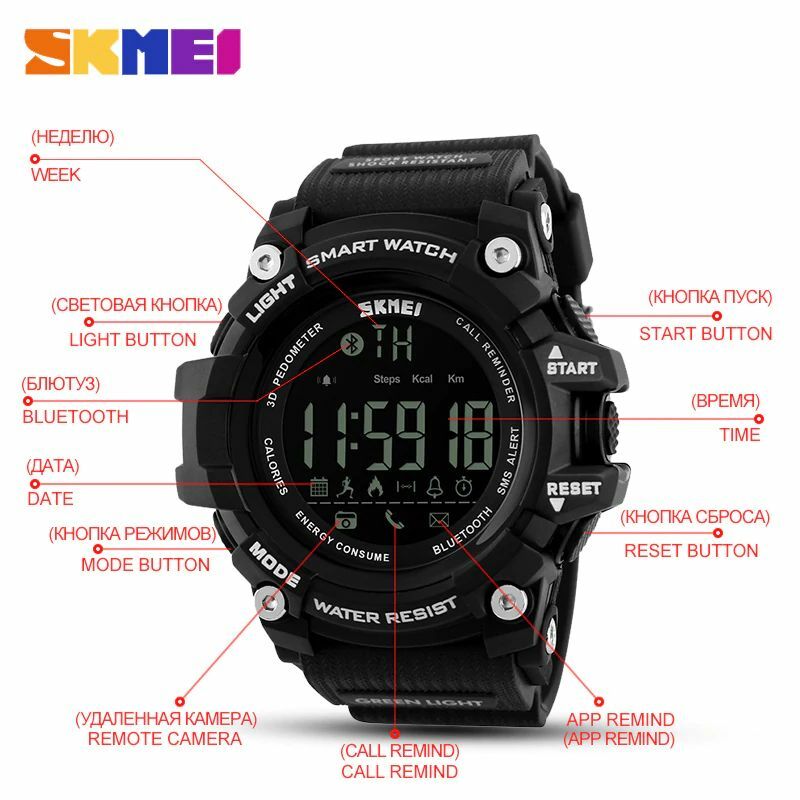 PACKAGE: Includes 1 Watch and 1 English Manual Instruction.